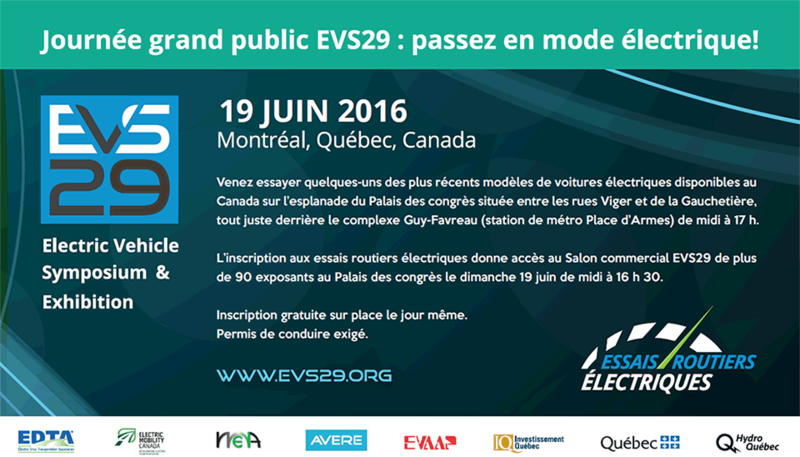 15 events in Canada for the National Drive Electric Week 2016! Electric Mobility Canada invites you to participate in one of the 15 events being held in 5 different Canadian provinces during the National Drive Electric Week, September 10-18, 2016. NDEW is a nationwide celebration to heighten awareness of today’s widespread availability of plug-in vehicles and highlight the benefits of all-electric and plug-in hybrid-electric cars, trucks, motorcycles, and more. List of events in Canada.